Penalties for Delayed Orders on Your Website. Fascinating. 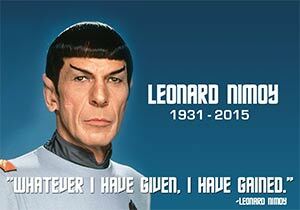 RIP Leonard Nimoy, most well-known for his portrayal of Mr. Spock on Star Trek. 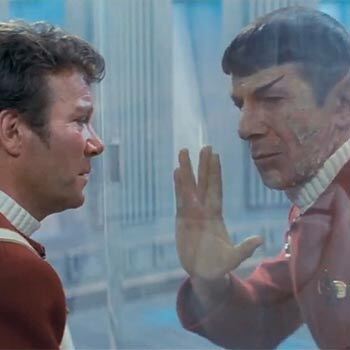 He wrote two autobiographies, “I Am Not Spock” and then a second “I Am Spock.” He brought to life a whole alien species, the Vulcans, with their own culture, customs and sayings, and the world mourns his passing. One of the best Vulcan maxims was “Infinite diversity in infinite combination,” (abbreviated as IDIC) to describe Vulcan philosophy of endless variables coming together in truth and beauty. IDIC is represented with a circle-and-triangle-symbol pin or pendant. 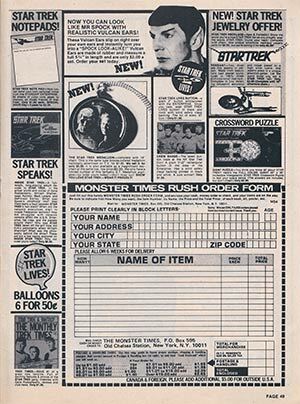 It was sold through a mail-order business Lincoln Enterprises, owed by Gene Roddenberry, Star Trek’s creator. Today, Lincoln Enterprises would have undoubtedly sold IDIC jewelry on an e-commerce website. What would have happened if IDIC sales suddenly surged and Lincoln Enterprises was unable to timely fill IDIC jewelry orders and didn’t properly notify Trekkers? Did you know that a business could be fined up to $16,000 per violation for failing to follow mail order shipping laws? The IDIC concept was first introduced in Star Trek TOS (The Original Series) “Is There in Truth No Beauty?” I remember it because it featured Diane Mulduar as Dr. Miranda Jones. She later starred in TNG (The Next Generation) as Dr. Pulaski. “Is There in Truth No Beauty?” had all the makings of a classic Trek episode: Dr. McCoy a/k/a Bones utters his signature line, “He’s dead, Jim.” Captain Kirk attempts to romance the leading lady of the episode. There are references to ancient Greek mythology and 1960s psychedelic twirls in space, as a result of some sort of problem with the space-time continuum (of course). Scotty must make repairs to the ship’s engines. Phaser fire. Vulcan mind techniques. A Captain Kirk monologue. Epic stuff, right? And, woven into the story is the maxim “Infinite diversity in infinite combination” abbreviated as IDIC. Trekkies believed the maxim symbolized our tolerance for diversity (it was the 1960s). IDIC was further symbolized as a “triangle and the circle are two different shapes, materials, and textures. They represent any two diverse things which come together to create truth or beauty, represented by the jewel in the center.” Spock wore the symbol as a pin with his dress uniform and later as a pendant at the end of the episode. Gene Roddenberry, Star Trek’s creator, wrote IDIC into the story line so he could sell the IDIC jewelry through his mail order business, Lincoln Enterprises, in 1969. 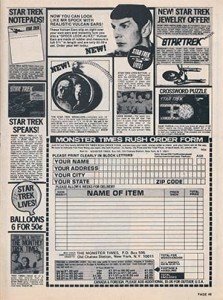 Today, Lincoln Enterprises would have undoubtedly been an e-commerce website where Trekkers could click and purchase their IDIC pendant or pin. I’m not sure what the mail order shipping laws were like back in the 1960s, but today there are rules to follow from the Federal Trade Commission, the U.S. Postal Service, as well as various state laws. Did you know that businesses that sell goods by mail, fax, phone or the Internet have rules that must be followed with respect to timely shipping and refunds? For example, if there is a delay from your normal shipping policy (assuming you have one), your business must provide proper notice to your customer. If your customer who paid by cash, check, or money order does not agree to the shipping delay and wants a refund, your business must provide the refund by first class mail within 7 working days. If you fail to follow this rule (or other rules regarding mail orders), your business could be fined $16,000 per violation. Not sure what other Legal Essentials you need to know for Your Retail E-Commerce Website are? Download our mini-version of 10 Legal Essentials for Your Retail E-Commerce Website here. Click here to invest in the full 8-page 10 Legal Essential for Your Retail E-Commerce Website. You will be redirected to our sister site: StartUpGreaterGood.com to make your purchase.